Have you ever wondered what goes on behind the scenes of your children’s favorite comic book stories? Me too! That’s why I will be talking with Arthur Baltazar, one of the men behind Tiny Titans and Superman Family Adventures, about his work on the series. 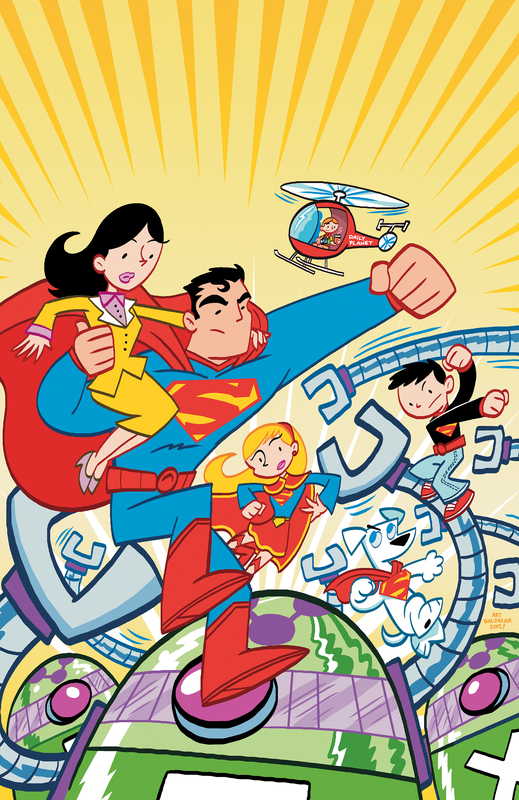 Personally, I’m curious about why Tiny Titans was canceled and about the various kinds of things we can expect to see in Superman Family Adventures. Let me know what questions you have in the comment area and I will do my best to get some answers for you. Don’t forget to ask your children if they have any questions. I would love to hear from the younger readers as well as the adults. Please submit your questions by April 20th! My 11-year-old wants to know if the costumes were inspired by The New 52 comic series. What was his motivation for putting together a Superman “family”? Will he be taking it in the direction of the Incredibles?